When it comes to postpaid plans, private telecommunications companies are the first option for consumers, as they offer better advantages than the state-owned telecommunications company Bharat Sanchar Nigam Limited. BSNL has introduced several postpaid plans, such as Rs 299, Rs 499, etc., to attract users, but the lack of ease in data transfer is very bad. 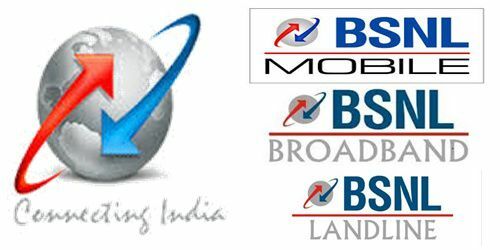 BSNL has introduced a new post-paid plan of Rs 798 which assumes the post-paid plan of Rs 799 of Airtel. With the recently launched plan, the telecommunications company offers 120 GB of 2G / 3G data, unlimited voice calls, 100 SMS per day and a free subscription to Amazon Prime for one year. In contrast, Bharti Airtel offers 100 GB of 2G / 3G / 4G data, unlimited voice calls, 100 SMS per day, free subscription to Amazon Prime for one year and a free subscription to Netflix for three months. As noted, BSNL provides a total of 120 GB of data with the newly introduced bill plan 798. However, customer should note two things in mind. First, the data benefit can only be used in 2G or 3G networks, as the telecommunications company has not yet introduced 4G services in the country. As you may already know, BSNL is testing 4G services in various parts of the country and if you're residing in that test area, you can use the benefits of data in the 4G network. The second thing to keep in mind is that the BSNL Rs 798 plan does not come with the data transfer option, which means you will need to consume 120 GB free data in just one month, otherwise it will expire. To remind you, BSNL is providing data transfer facility with the postpaid plan of Rs 525 in the Kolkata circle, but the same has not yet been implemented in the other 19 circles. In addition to the data advantage, BSNL's postpaid bill plan 798 offers unlimited voice calls can access in the Mumbai and Delhi circles and 100 SMS per day. Finally, users who choose this plan can also take advantage of the free Amazon Prime subscription for one year. BSNL provides the Amazon Prime subscription with its postpaid plans with monthly rental plans above Rs 399. BSNL has introduced this postpaid plan in the Karnataka circle at the moment, but it could be implemented very soon in all circles. This new post-paid BSNL plan assumes Airtel's 799 bill plan. While BSNL offers 120 GB of free data, Airtel sends 100 GB of data. However, the benefits of data in Airtel can be used in 2G / 3G / 4G networks, unlike BSNL which is limited to 2G / 3G networks. Like BSNL, Airtel also offers unlimited voice calls, 100 SMS per day and one year of free subscription to Amazon Prime with the postpaid plan of Rs 799. However, what distinguishes the Airtel plan is the presence of the data transfer function and the free subscription to Netflix for three months. As mentioned, the BSNL bill plan 798 is currently only available in the Karnataka circle and is not applicable int other telecom circle and planning to introduce very soon after feedback from customers after launch. In addition, BSNL offers the Rs 499 plan with 45 GB of data, unlimited calls and 100 SMS per day at Rs 401 in Karnataka for a limited period. So if you live in the Karnataka circle and look for a postpaid plan, you should consider these BSNL monthly bill plans. 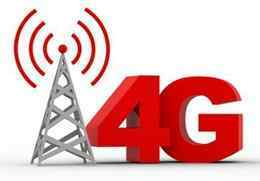 The government-owned power unit will soon start 4G services, as it has received the 4G spectrum provided by the government.